Slate Trays > Easy Plumb Square Shower Tray & Waste 900x900 (Graphite). 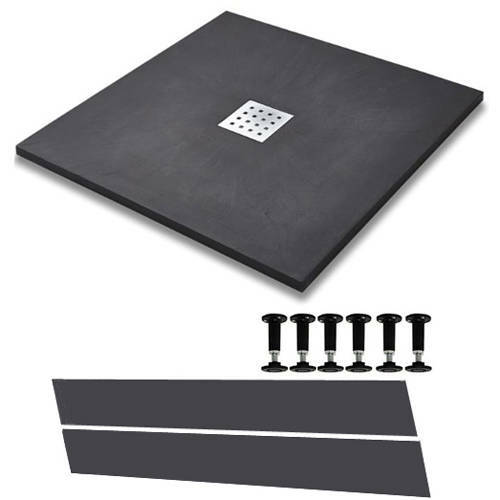 Slate Trays square shower tray in graphite slate effect finish with chrome integrated waste and easy plumb kit (900x900x27mm). Looks like, feels like and as strong as natural slate. Suitable for shower enclosures or wetrooms. Colour mixed in stone resin so will never fade. Hand made from quality stone resin materials (gel coated). Easy plumb kit included with adjustable legs and matching removable side panels for easy installation and maintenance. Integrated 90mm fast flow waste included (chrome). Size: 900W x 900D x 27H mm. The new Slate Trays range will add a sleek contemporary look to your shower enclosure or wetroom with the timeless, luxury feel of natural stone. 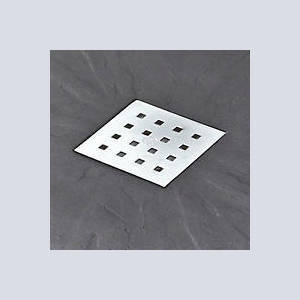 These slimline shower trays are very strong and have been hand crafted from high quality stone resin. A textured finish with an anti-slip surface for added piece of mind and total bathroom safety. 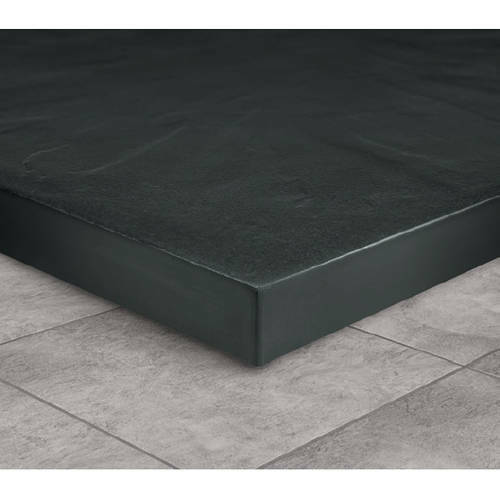 Manufactured to such a high standard all Slate Trays come with a full Lifetime Guarantee.